TURIN -- Italian auto union Fiom will call a two hour stoppage to protest plans by Fiat to scrap its existing labor contracts next year and could call a wider general strike, the union's secretary general Maurizio Landini said on Tuesday. He said the stoppage would be held before the next meeting of the union's central committee on Nov. 29. 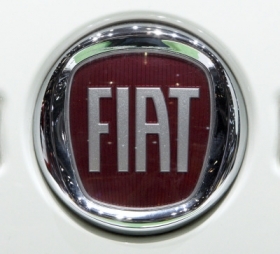 Fiat SpA sent a letter to its unions saying it would scrap all labor contracts at factories in Italy after Dec. 31, a person close to the company said on Monday. The decision comes after Fiat introduced more flexible labor contracts at three of its five plants in Italy, seeking to boost productivity and reduce absenteeism. Earlier this year, Fiat said it would pull out of Italy's employers group Confindustria after Jan. 1, citing the group's role in negotiating collective labor deals that Fiat said put the company at a competitive disadvantage on the international stage. Fiat's plants in Italy have all lost money. Vincenzo Scudiere, an official with Italy's largest trade union CGIL, called the move "destabilizing," and accused Fiat of trying to impose its own tailor-made labor rules on Fiat's Italian workers and reneging on national labor deals. The FIM-CISL metalworker's union said in a statement that it wanted to quickly start negotiations with Fiat and Fiat Industrial SpA on a contract that would cover workers in both companies. A Fiat spokesman declined to comment.